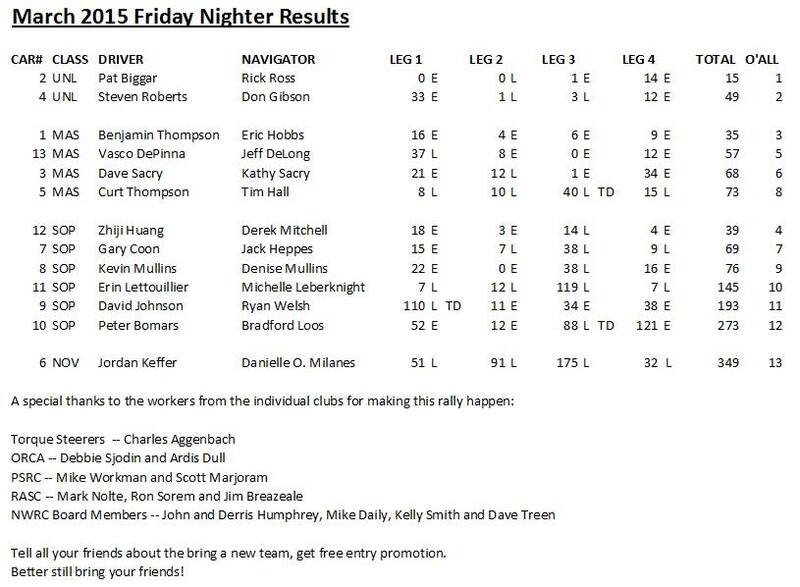 On April 10th ORCA will present the second rally of the season, the April Friday Nighter. Curt Thompson is the rallymaster, According to Curt the rally will be a very easy event. Perfectly appropriate for new TSD competitors. Remember that the bring a new team and get free entry promotion is still going and will continue throughout the season. Come on out for our rally and bring some friends!